The Razer Chimaera Wireless Gaming Headset for Xbox 360® has everything you need for up to 12 hours of battling and smack-talking your friends in absolute comfort. Building on our extensive expertise from PC gaming, this wireless headset is designed to provide a high definition sound combined with an ergonomic design to maximize comfort. The included base station doubles up as a charging dock and storage unit to keep your Razer Chimaera ready to dominate everyone on Xbox LIVE. The Razer Chimaera allows a wireless Xbox experience with no cables restricting your movement. The included charging dock makes countless battery swaps a thing of the past. Neodymium drivers provide high definition professional grade sound to give you true to life gaming audio. Combined with extra soft circumaural ear cups you will play in maximum comfort at all times. 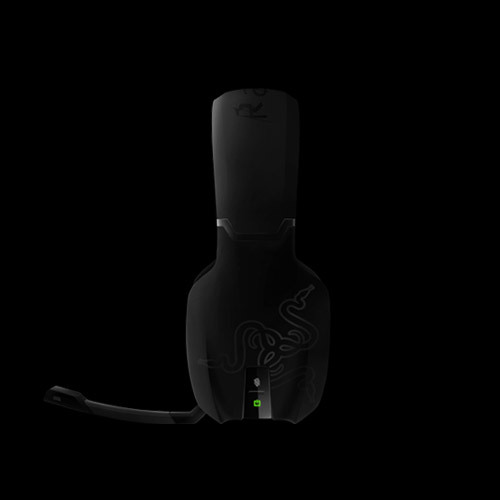 The Razer Chimaeras’ batteries last for up to 12 hours, long enough for even the most extensive sessions of uninterrupted pwnage.